Why Have Height Lengthening Surgery? There are various reasons for having height (or limb) lengthening surgery. In some countries such as China or Korea, height is detrimental to multiple occupations and requires a specific height requirement be met. Medicalbag.com states that Korea can see as many as 600 height lengthening surgeries per year to help people achieve their height goal. In the United States, however, it is more common to see the surgeries being performed on shorter men who wish to be slightly taller for cosmetic reasons. Being considerably shorter than one's peers has shown to have negative effects on mental states and self-esteem. The option of height lengthening surgery could be the solution to these problems that have plagued short-statured people for their entire lives. To put the process simply, a small incision is made in the leg and the bone to be lengthened (the femur or tibia) is then surgically cut. It is fitted with an adjustable nail which puts a small distance between the two pieces of bone. Over the course of several months, the nail is adjusted to create more of a gap in which new bone growth will then fill and heal over. This new bone growth gives your legs the extra length you've been looking for. Speak with a surgeon in your area for more details on the surgery procedure. The recovery may be uncomfortable, particularly in the first few weeks, but with the help of your physician's prescribed pain management and physical therapy that will help with walking and range of motion, the healing will quickly allow you to be back to your normal life. 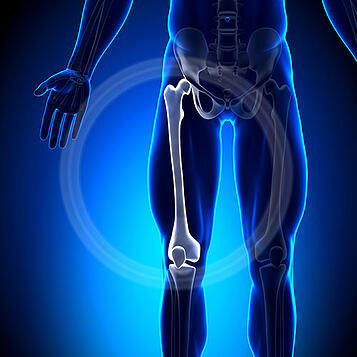 Supplements will be given as well to aid in bone growth. Typically, the entire recovery process is around three months long. A revolutionary new technology called the Stryde Nail System has been designed to make recovery even easier than traditional surgery techniques. What makes the Stryde Nail System different is that the lengthening mechanism that is placed in the bone is controlled by a remote control. This system allows for faster recovery time, as traditional methods only allow up to 50 pounds of weight bearing post surgery and this system allows for up to 250 pounds. Patients will be able to quickly bear full weight on the limbs and be independent while recovering. The cost of the surgery will vary according to your location as well as the details of your particular case. Some variables that will affect the cost of your surgery will be your age, health, and the amount of height you are wanting to achieve from the surgery. This cost is usually not covered by health insurance, as it is seen as cosmetic. In some rare instances, however, insurance will cover all, partial, or reimburse for part of the procedure, so be sure to look into the facts with your surgeon. If you are feeling unhappy with your height, that it is lowering your self-esteem or outlook on life, or is holding you back from your full potential, looking into height lengthening surgery could be a solution for you. Finding an orthopedic surgeon in your area that performs the surgery could be the first step towards living a new, happier life.